At the end of 2016, the team of doctors at Gorman & Bunch Orthodontics launched the very first Central Indiana Smile for a Lifetime Chapter, offering free braces and Invisalign to patients in need across Central Indiana. They engaged us to develop a plan that would generate awareness in the surrounding communities and produce sufficient application submissions during its scholarship selection process every four months. "Joe and Keyhole Marketing helped us tell our story even better than we imagined we could. The resulting news coverage was a total game-changer for us. We effectively reached our target audience and were able to change the lives of very deserving kids because of it!" Because of the constraints of a very limited budget, we elected to promote the program to Gorman & Bunch Orthodontics’ existing client base through website content, blogs, social media posts, and email marketing. As a result of the blogs and emails, Gorman & Bunch was able to garner a few applications and eventually select its first two scholarship recipients. We captured images of the first recipient — Samantha Sager — at the moment she first found out she’d been selected. 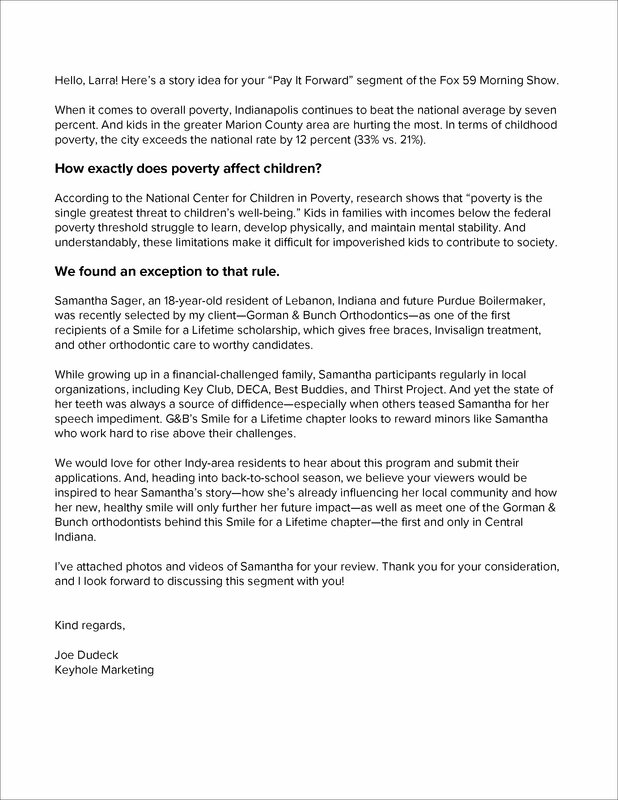 A few months later, we decided to pitch Samantha’s story to the local media, documenting the challenges Samantha faced growing up, the ways in which she gives back to the community and the opportunities a new smile would give her in life. We also captured b-roll footage to accompany the pitch. 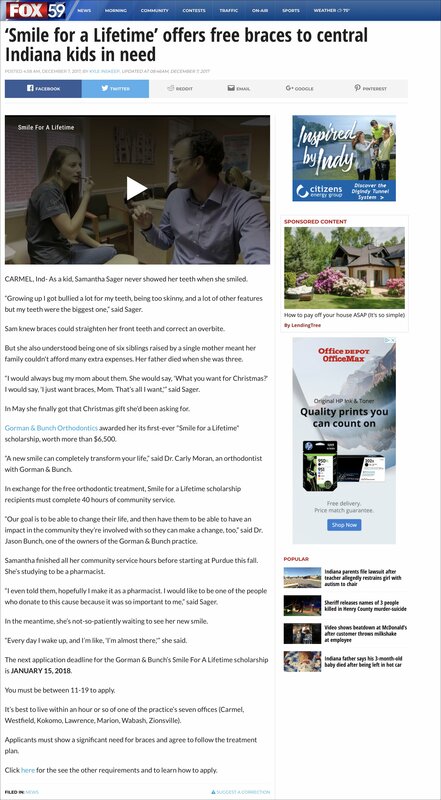 A few weeks after the pitch, FOX-59 expressed a desire in creating a feature story on Samantha and asked that we arrange an interview with her, as well as a couple doctors from Gorman & Bunch. At this point, Samantha had begun her freshman year at Purdue University. We worked with the school’s media relations team to coordinate on-campus filming with Samantha, and also arranged sit-down interviews with the doctors. Over the course of the following weeks, we rounded up any additional materials needed by Fox-59 to cut the final story. Two weeks later, the following feature ran on both Fox-59 and CBS 4. Total number of pages viewed, including repeated views. Number of sessions in which specified page viewed at least once. Average amount of time users spent viewing specified page. 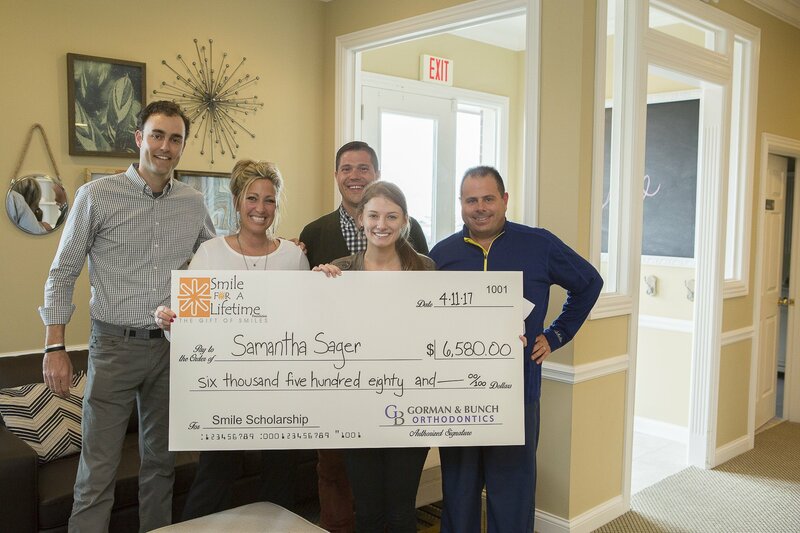 Perhaps more importantly, the story resulted in 15 NEW SMILE FOR A LIFETIME APPLICATIONS and the eventual selection of 6 NEW SCHOLARSHIP RECIPIENTS — now receiving free orthodontic care by the team at Gorman & Bunch Orthodontics. "Keyhole Marketing was integral in generating broadcast, digital and social media attention to the Smile For A Lifetime initiative. Working with their staff not only provided our news team with fantastic people to share their story and highlight the work Smile For A Lifetime is accomplishing, but also helped us educate those deserving of the services on how to utilize this opportunity available within our community."